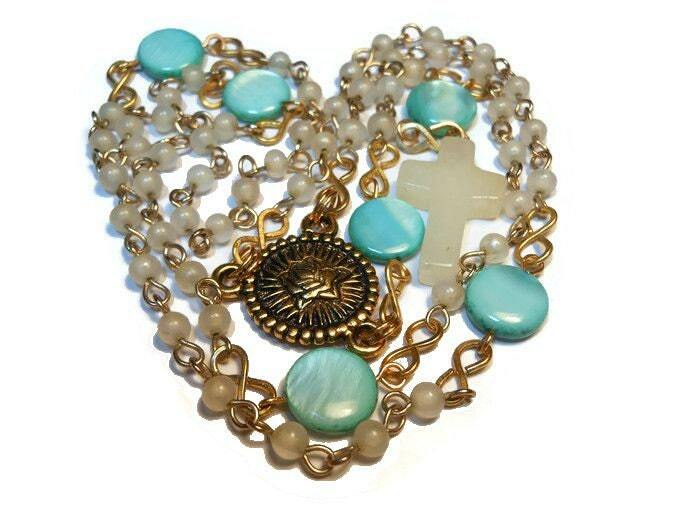 Catholic rosary 'Immaculate Heart' with vintage cloudy clear beads, turquoise blue Our Fathers, quartz cross, gold plated center and free pouch. 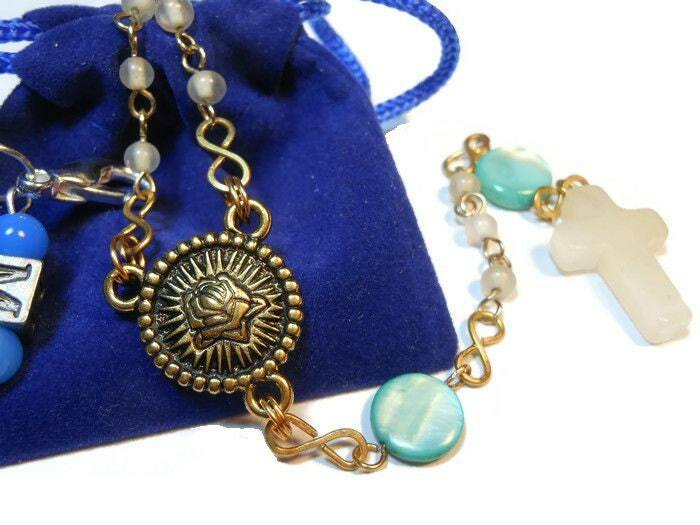 I took a vintage faux pearl and chain necklace and removed the shredding white tops to expose the glass beads below and married them with blue green Mother of Pearl (MOP) flat circular beads for the Our Father beads, using the vintage chain. 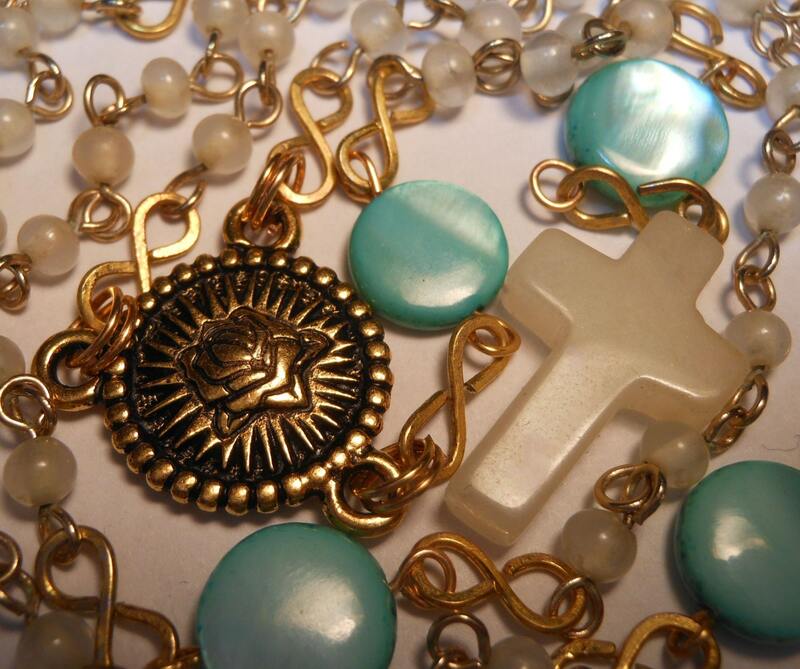 A quartz cross and a gold plated Immaculate Heart of Mary/Rose design centerpiece round out the rosary. All vintage will carry the patina of age. 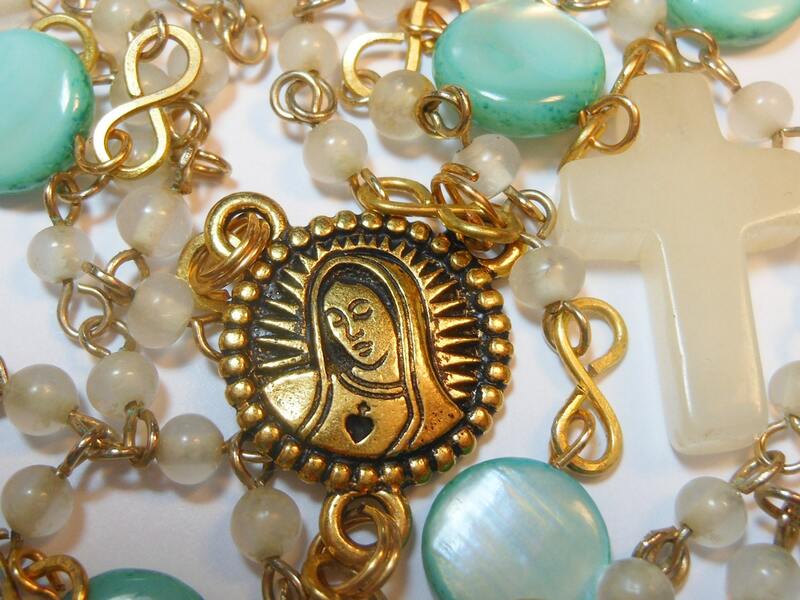 The quartz cross is 3/4" (1.9 cm) in length and the center measures 5/8" (1.6 cm) in diameter. 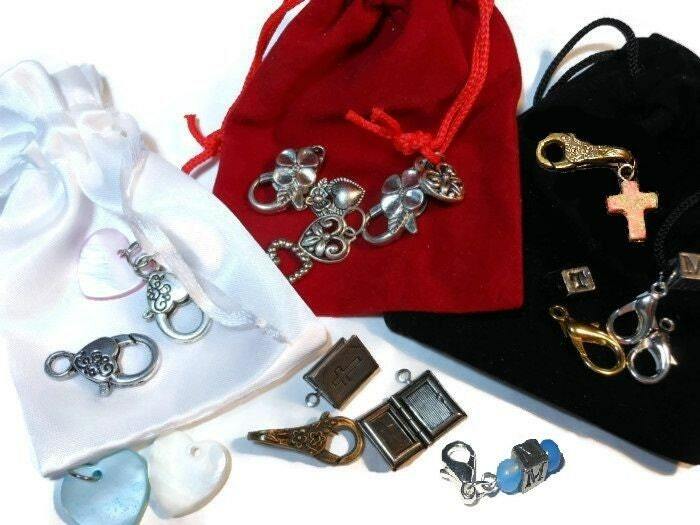 This rosary is smaller than most of my standard ones. The smaller pouches would probably be a better choice.